The 2015 Sundance Film Festival hasn't even started yet (it's still over a month away), but one of the in-competition films has already been picked up for distribution. 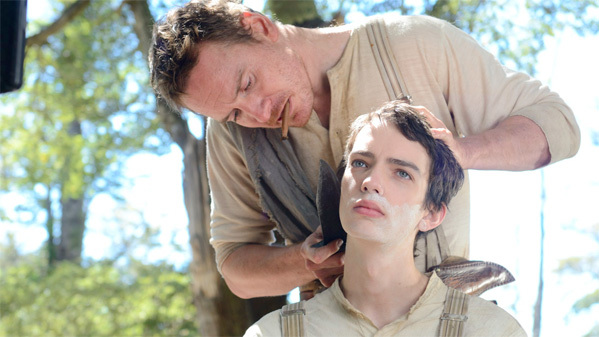 THR reports A24 and DirecTV have picked up New Zealand's rural drama Slow West for release in the United States. Set at the end of the nineteenth century, the film follows 16-year-old Jay Cavendish (Kodi Smit-McPhee) journeying across the American frontier in search of the woman he loves. He end sup being joined by Silas (Michael Fassbender), a mysterious traveler, and hotly pursued by an outlaw named Payne (Ben Mendelsohn) along the way. Sounds like a solid western to me, and if it's already getting picked, then it sounds like first-time filmmaker John Maclean might have a bright future ahead of him. The film will debut exclusively on DirecTV and then will get a theatrical release by A24 sometime after that. Though this is Maclean's first feature, he previously worked with Michael Fassbender on two short films, Man on a Motorcycle and Pitch Black Heist. We'll likely be catching this movie in Park City when it debuts at the 2015 Sundance Film Festival in the World Cinema Dramatic Competition so stay tuned for our review and more from the festival. Interested yet?